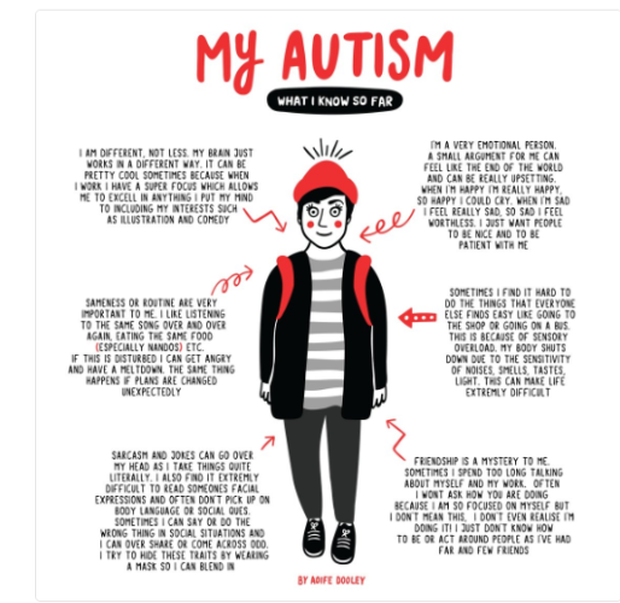 Eight months after finally being diagnosed with autism at the age of 27, Irish illustrator Aoife Dooley says it has changed her life. The creator of the brilliant 'Your One Nikita' cartoon web series and sister books 'How to be Massive' and 'How to Deal with Poxes (on a Daily Basis)' struggled with feeling 'different' all her life but never considered she might have autism. A close friend eventually suggested she might be on the spectrum and should have an assessment. She baulked at the idea as it had never occurred to her but she had the assessment and received her diagnosis in April. It has, she says, 'made sense' of everything in her life. "I don’t second guess myself really anymore. I am the way I am. I suppose it kind of made me more self aware and that’s been a good thing for me and also for other people. I’ll ask now if you want a cup of tea instead of just talking about myself! "It’s made me more aware of myself and also more aware of other people. I have more energy. I understand myself. That’s the main thing. It’s been great for my family and my relationship and just for life in general." The Dublin artist admits she was so good at finding ways to hide her struggles over the course of two decades, that she didn't even realise she was doing it. "I was trying to protect myself," she says, adding, "Knowing now, it has just made sense of everything in my life." Since she opened up about her diagnosis in an emotional post on social media in May, Aoife has received many messages from people who have said that in going public and sharing her experience she helped them to realise they were also autistic. "When you really don't know it's very confusing," she says. "You know something is off and that you're different but you don't know why. You just think you're a weirdo." 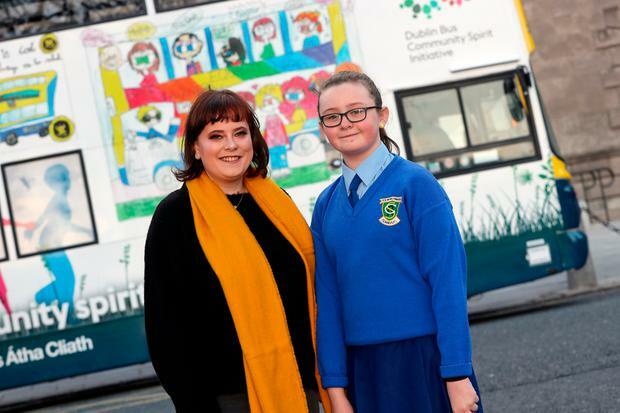 Drawing proved to be an escape for Aoife through the difficult years at primary and secondary school so she was thrilled to be asked to judge and announce the winner of the Dublin Bus Annual Children's Art Competition on Thursday. She was blown away by the standard of the entries, and particularly that of fifth class student Susan O'Reilly from St Canice's Girls School, Finglas, who she awarded the overall winner. "The talent in the competition this year compared to when I was in school is so much better. I couldn’t believe how detailed some of the illustrations were and just the way they put so much thought into their stories. Susan's piece is 'Dublin Bus for All' and it’s based on the Dublin Pride bus from earlier this year." 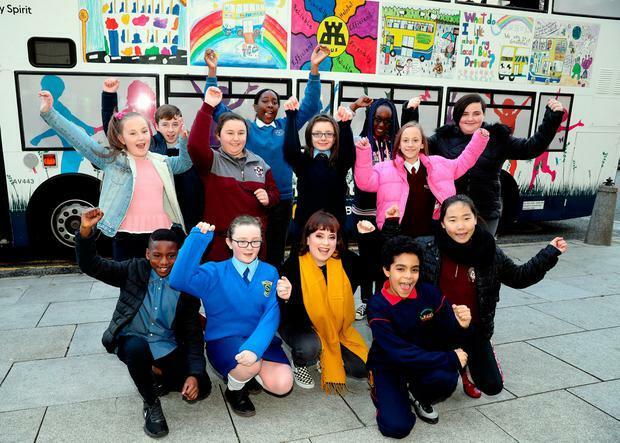 Susan and ten other finalists were surprised with a bus wrapped in their colourful pictures and their drawings and those of 30 more children will appear in the Children's Art Calender 2019. Aoife jokes that she never won any art competitions as a child. It never stopped her believing she had found her niche, however, and once she left college she decided to make a career of her passion. 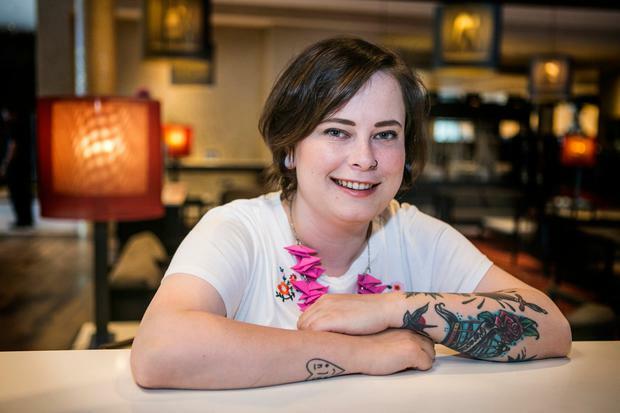 The past three years have seen the Nikita brand grow beyond the web into publishing with the two aforementioned books and she's also now poised to launch an animated Nikita series on the RTE Player. Working with Digital Beast, a production company based in South William Street (she provides the illustrations and they animate the characters), she is bringing her famous Dublin character to life. "I’ve seen it all and I’m delighted with it," she says of the series. "I’m really happy with how it’s turned out. It comes to life seeing and hearing the characters. It’s totally weird, really mad. I think it’s almost taking on a life of its own. With animation there’s so much you can do with it and I’d hope to do more if it gets a good reception." Another outlet for her creativity is comedy. Aoife regularly performs at festivals such as the Vodafone Comedy Festival, Body & Soul, and Electric Picnic. On December 3rd she's on the same bill as Ardal O'Hanlon. Where most people would prefer to speak with one person as opposed to a room full of strangers, Aoife is in her element with the latter. She laughs, "I'm talking at people rather than talking to people, so it's not so bad!"